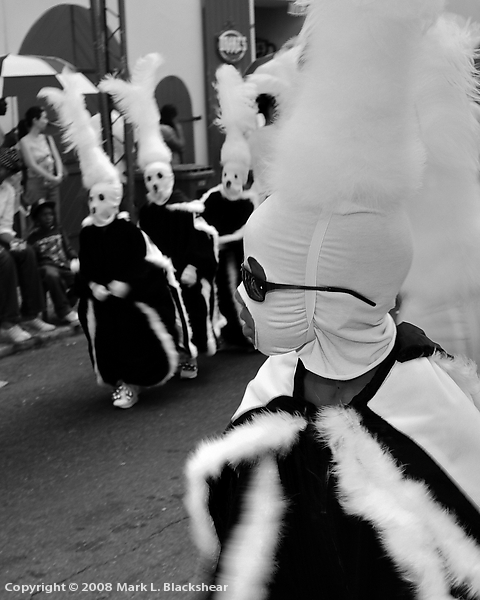 The highly anticipated, month-long, Carnival celebrations of St. Thomas, U.S.V.I., slow most of the island’s secular activities to a crawl. 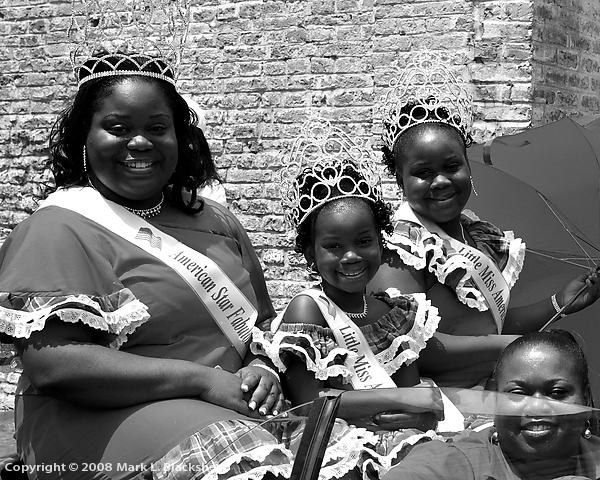 Festivities commence with pageants for king, queen, prince and princess of the band and Carnival. 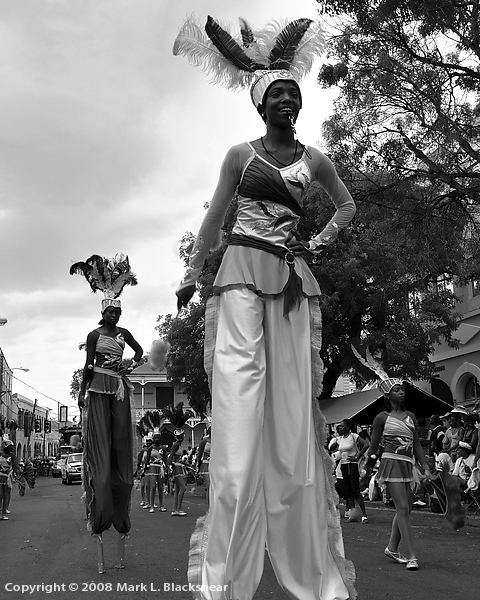 The Carnival pace increases, with various calypso shows and steel pan venues. 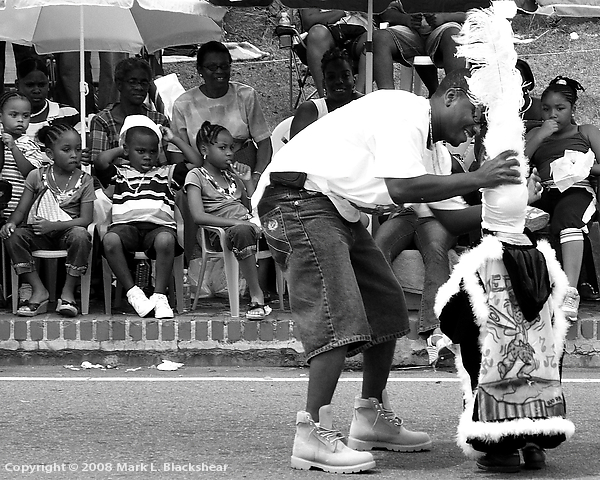 When the village finally opens, with the food fair, and inception of j’ouvert, you can truly sense the excitement in the air. 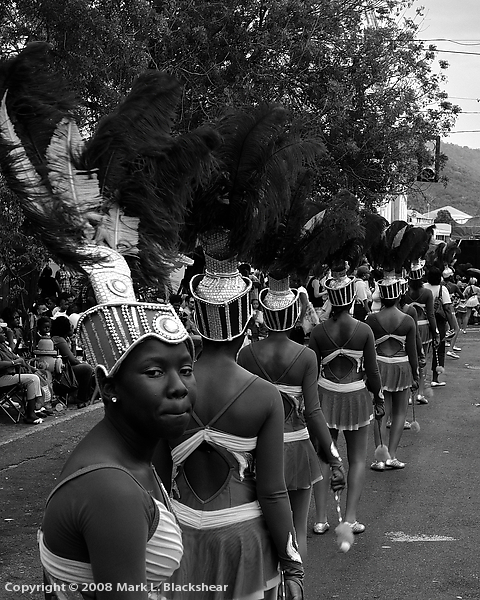 Finally, there are the parades and a spectacular fireworks display that can be seen from vantage points throughout the island, to conclude the Carnival. 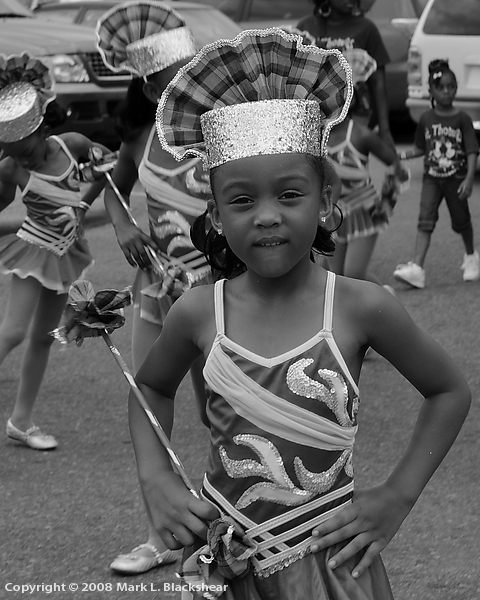 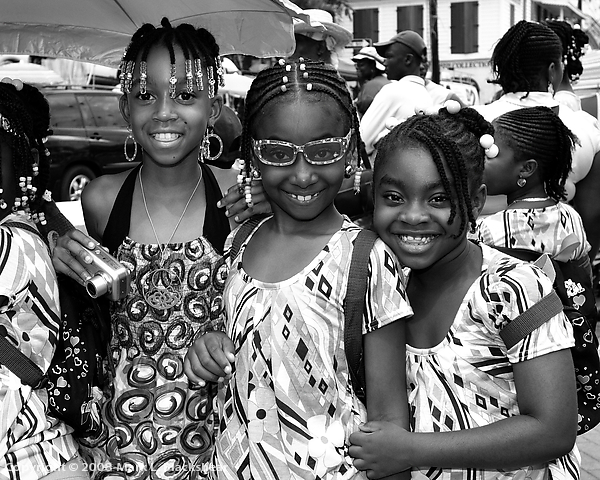 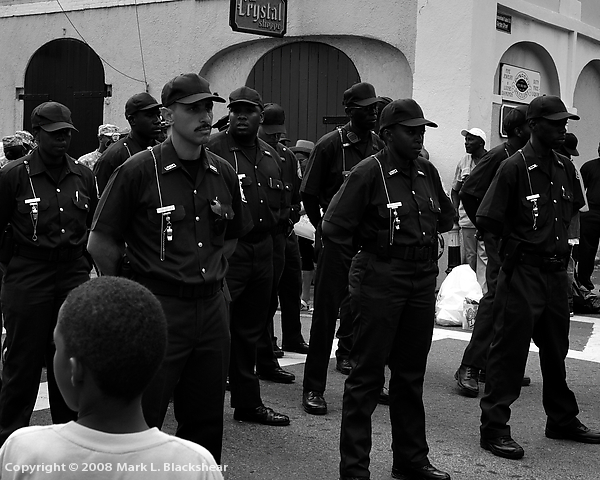 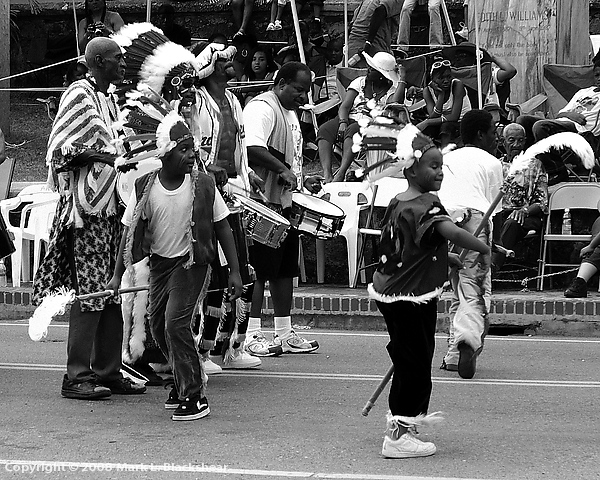 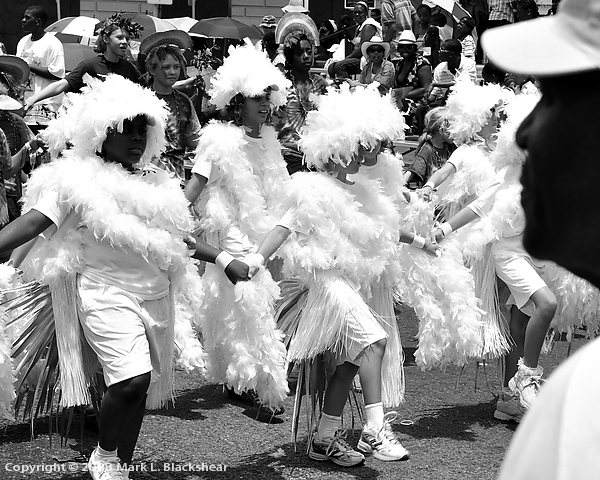 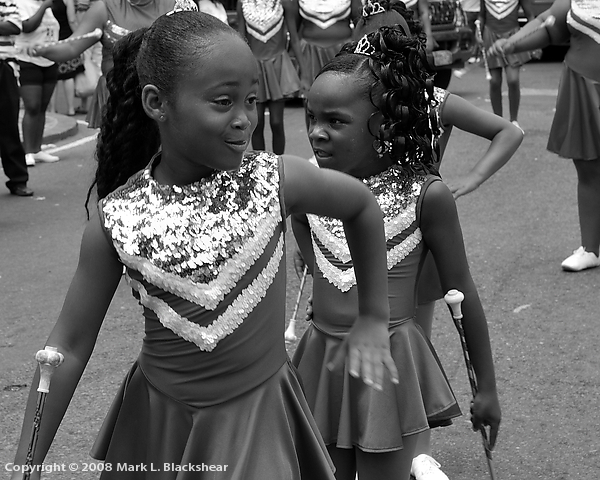 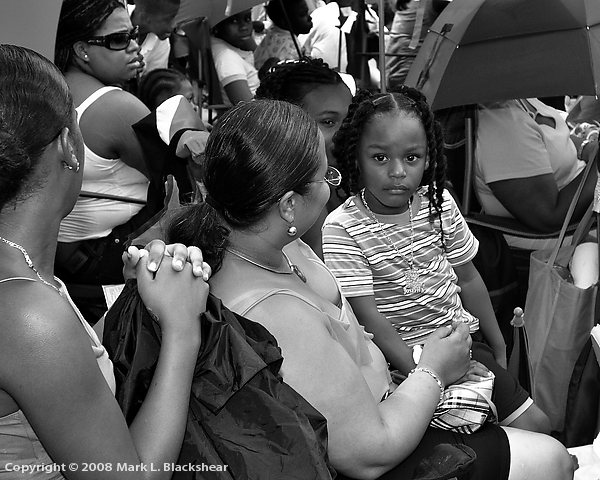 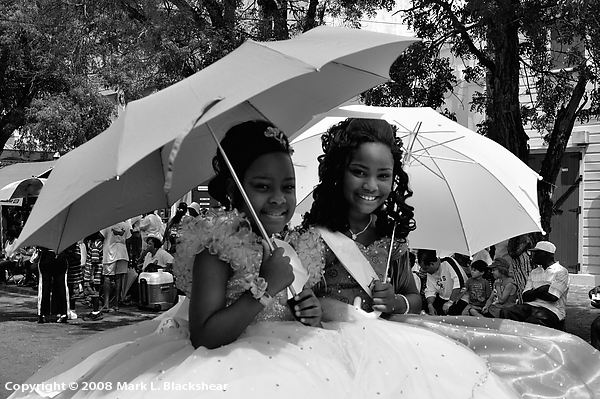 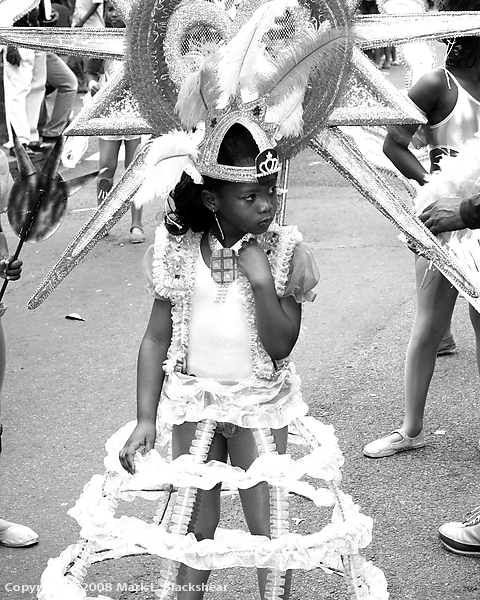 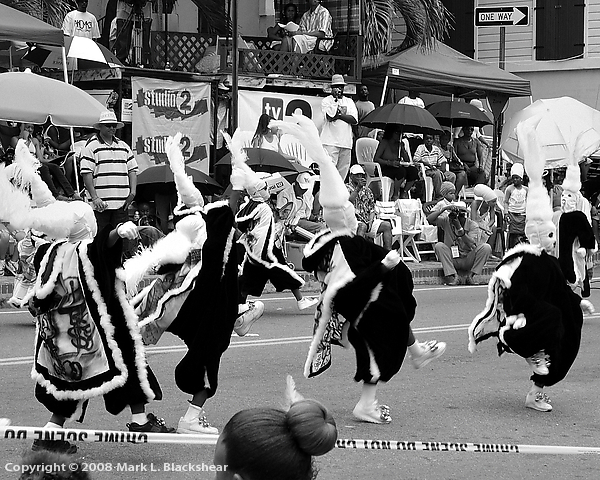 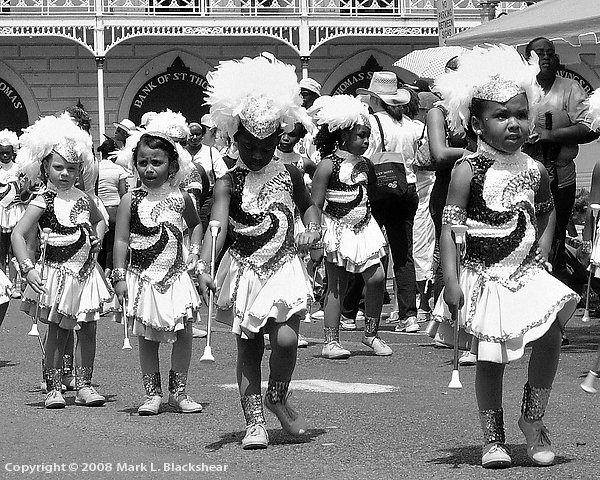 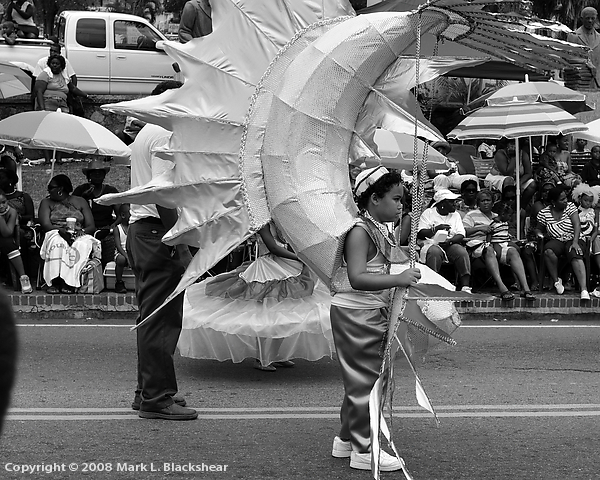 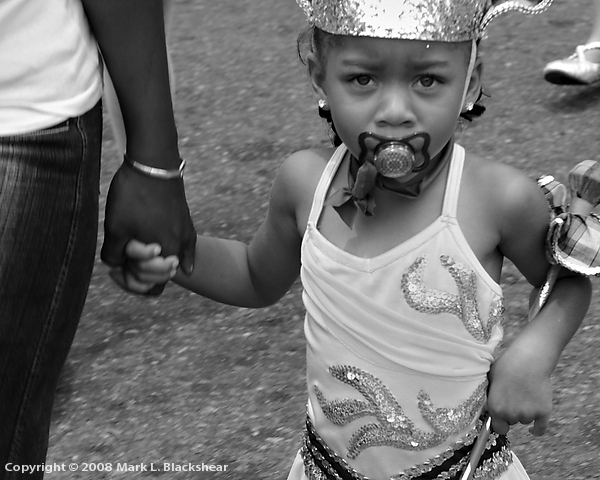 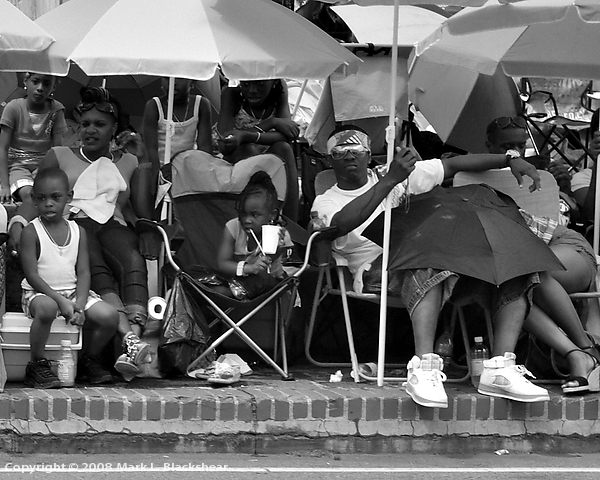 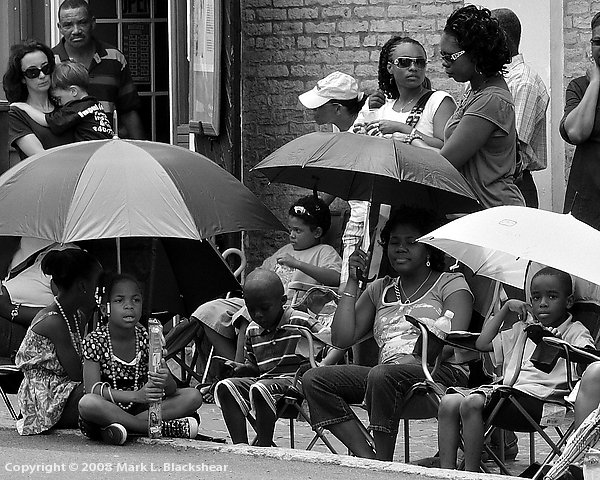 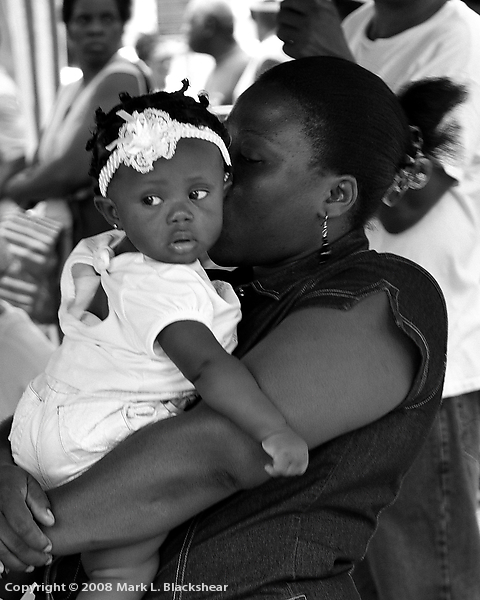 This installment of my journal, was shot on May 25, 2008, a day set aside for a children’s parade, where the music resounded to body shaking levels, and the children took it all in stride, calmly awaiting their turn to participate in the procession. 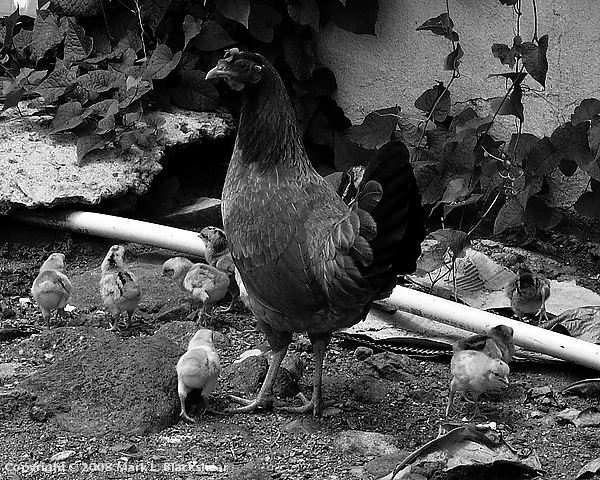 All in all it was touted as family affair. 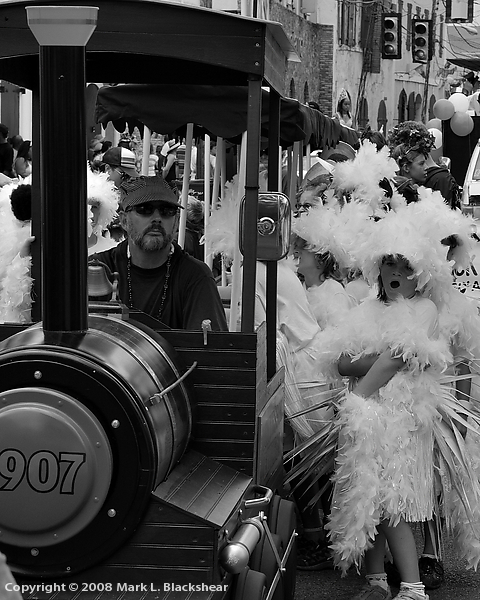 And to that, I can attest, that there was no disappointment. 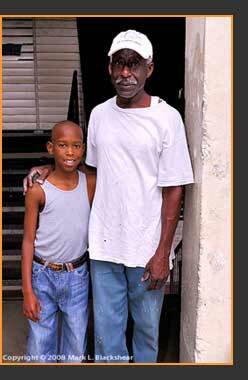 On a sober note, I’d like to also add, that on this same day in May 25, 2008, I had the opportunity to meet and photograph this young fella, Nashaun Williams, pictured here with his grandfather, “Cinnamon” Williams. 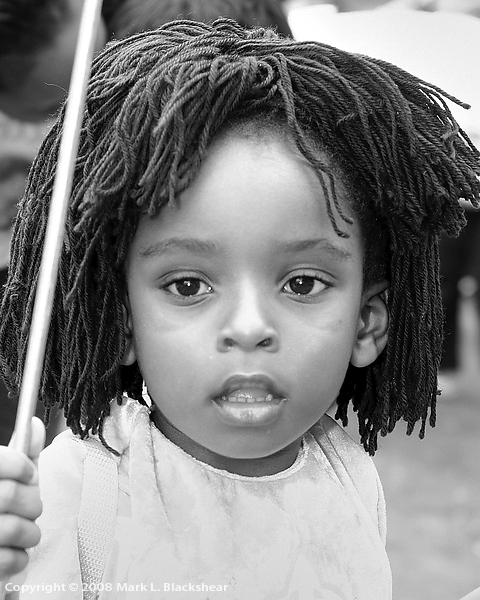 At this time, Nashuan was ten years old. 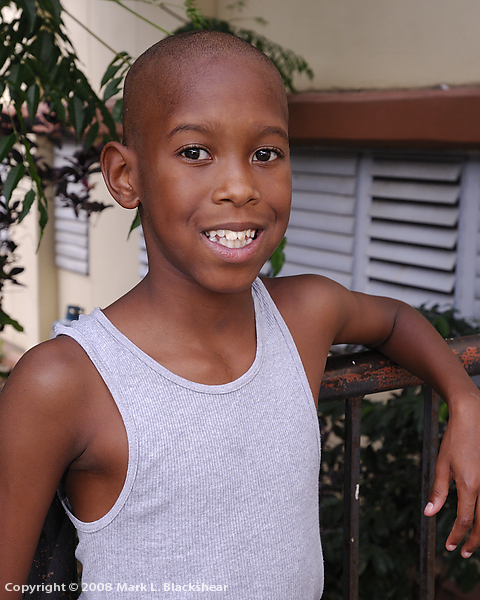 Sadly, soon after embarking on his fourteenth excursion on spaceship earth, circling our sun, his journey came to a close on May 19, 2011, due to heart complications challenging him since birth. 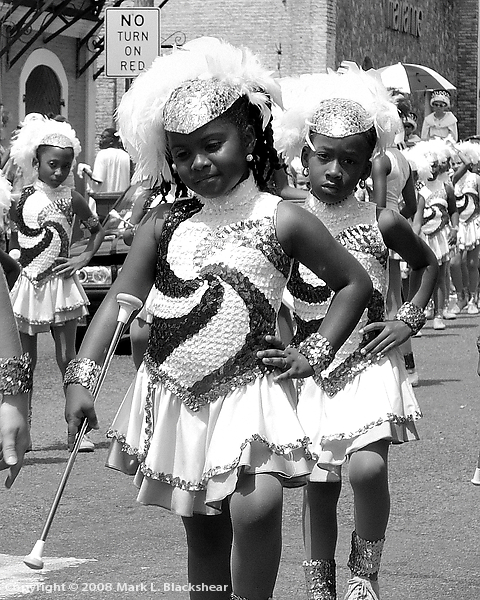 Therefore this edition of my journal is a memorial to Nashaun Williams, born March 7, 1998, died May 19, 2011, the son of Craig Williams, my friend.